This entry was posted in dVerse, Family, Life & Living and tagged family, poem, poet, poetry. Bookmark the permalink. I was floundering with this prompt until I read your poem, which is the perfect example of an allegory. Now I think I see what I must do. Thank you. I have to agree with vivinfrance, a perfect response to the prompt. So true. Everything has to be in its place, or nothing is in its place. Very nicely done. 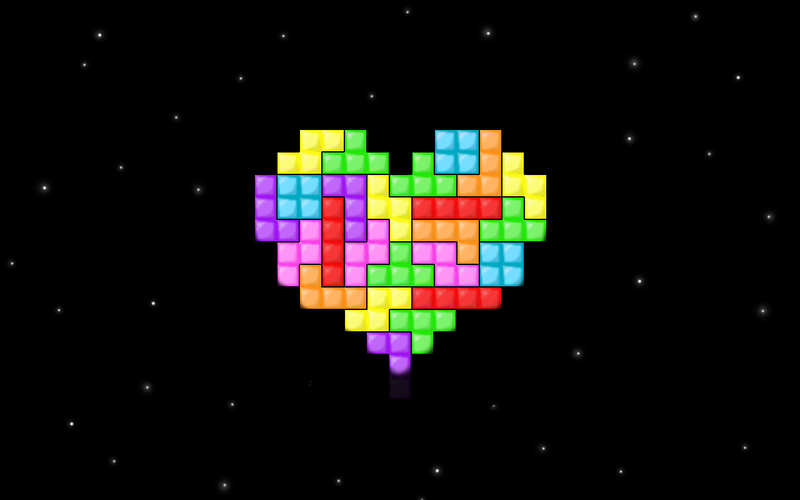 I am a huge Tetris fan, it’s my stress reliever. Norma, this is such a good choice for the prompt. It’s amazing how we can look around us and find allegory everywhere. Thanks for sharing. This is great. Brings to mind the troubled youth, drunk father, or shopaholic mother in a family and how the rest are effected. so good to give this to us in such a simple yet profound few lines. A really great read. Thankyou. I love the idea of taking a game and using it to allegorize love. There’s akways that one piece missing! And the game is never ending it seems. Great allegory – you’ve written this so perfectly (as always 🙂 ) .